Read Me First < Start Here < Achtung < Bella! Why it’s worth being: Here. Are Bits & Spurs Harsh? … And for the Love of Christmas: Stop “Flexing”! You Can Do Better than Partner, Partner. LE SPUR: Not Just for Idiots – Even YOU Can Use Them! Dom Diogo De Braganca was a direct student of Nuno Oliveira, and a fellow native of Portugal. He personally descends from Portugal’s own King Dom Duarte, whose book on horsemanship was among the first to emerge in the West after Xenophon, and preceding Newcastle. Many students of the French School consider his work, Dressage in the French Tradition, the most substantial treatise since the last works of Baucher’s direct students. Braganca does an excellent job of explaining the history and divergence of the current schools of dressage, and clearly presents Baucherism as the fork in the road from which emerged, essentially, the two modern interpretations of what both schools claimed to be the French notion of High School equitation described by la Guerinierre. After Baucher, the Baucherist School prevailed in high school riding in Latin countries (France, Portugal), prioritizing brilliance and lightness, as evidenced evidenced by the absence of traction and a relaxed lower jaw; the German School, prioritizing precision, and applying the notion of “appui” (necessitating traction against the lower jaw) to achieve it sooner. As high school level exhibitions and presentations within nations (e.g., the national schools of equestrian art, the Spanish Riding School, Saumur) become competitions among countries with the advent of the FEI, the two schools co-existed fro a while. But it became apparent that the scores awarded by judges showed considerable biases for their personal school of reference (Baucherist or “German”), which tended to correspond to their nationalities. In a short time, a tipping point was reached, and the number of judges hailing from “German School” nations simply reached a tipping point. Thereafter, if one wanted to compete successfully, one would present the German style. Henry Fleming is a horsemanship and equitation writer, trainer, tutor, and clinician. 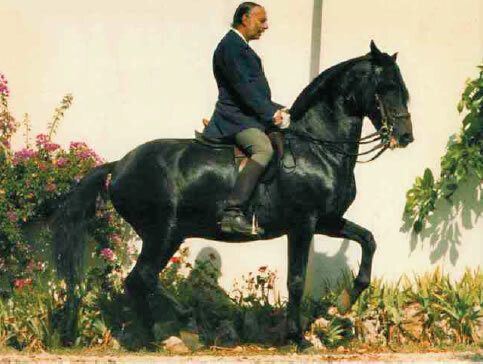 He advocates historical ideals of advanced horsemanship, applying principles espoused by William Cavendish and Francois Baucher to achieve them quickly and safely. Join our mailing list for updates on sales horses, clinics, and more!